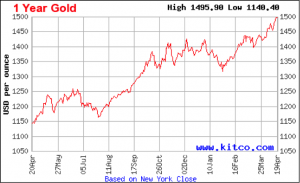 While nobody can 100% assure you that the price of gold and other precious metals will continue going up at this rate, most financial experts and many commodities traders believe it will. 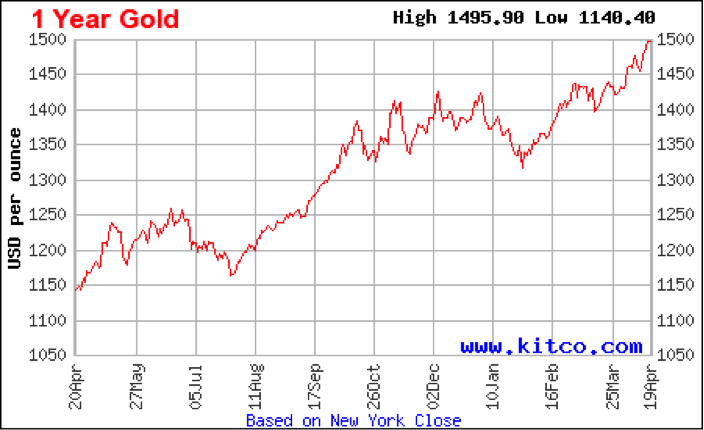 Many highly respected analysts also believe that gold may well rise to $1,700/ounce or more during 2011 or early 2012. They point out two reasons. To start with, new mines will be unlikely to contribute new gold to the global supply, since new mines generally take from 5-7 years to reach a meaningful production capability. Secondly, our global economy is simply not turning around fast enough and many investors are looking for safe haven investments such as gold.